The party is hosted at the Island Club Home Rentals subdivision and is exclusively for guests of the Island Club, Commodore Resort, Victory Station Hotel, and Brand New Put-in-Bay Waterfront Condos. Welcome to the Island Club Fall Ball page! The Fall Ball is an annual 2-day celebration sponsored by The Island Club Home Rentals. This Put-in-Bay party is designed to thank you, our guests, for choosing to stay with us on the Island. Island Club Rentals, Commodore Resort, Put-in-Bay Condos, and Victory Station Hotel guests are invited to join in on the fun and take part in this Put-in-Bay tradition. To be part of the Fall Ball party call 216-898-9951 to reserve your spot on Put-in-Bay before it is too late! The main site of the Fall Ball extravaganza is in the Island Club on the first street to the right after entering off of Put-in-Bay Road. The cul-de-sac of the Island Club is closed down, and a stage, tables and chairs are set out for you to part under the Put-in-Bay sun. 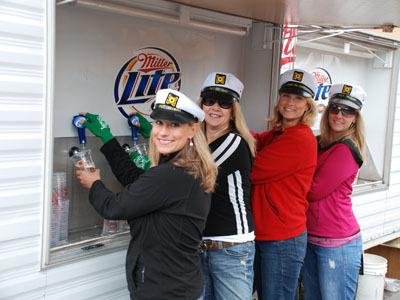 Each year we proudly offer some of the finest Put-in-Bay entertainers. 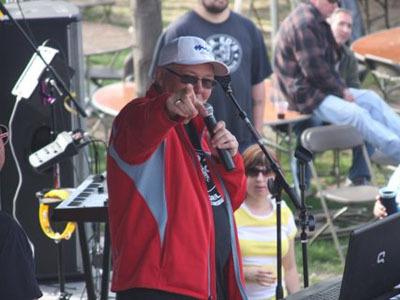 The Fall Ball party in 2008 had appearances from Mike "Mad Dog" Adams, Ray Fogg and Bob Gatewood from the Calabash band. 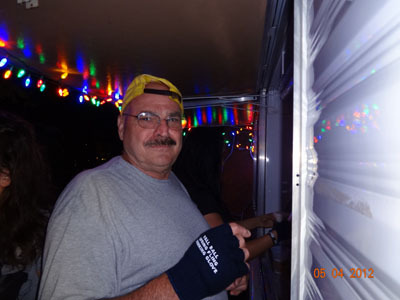 For many years, Put-in-Bay's Fall Ball has enjoyed the musical stylings of J.D. Owen and other Island entertainers such as Moving to Boise and the Poptart Monkeys. This two day event starts on Friday with a meet and greet at the Island Club with live Put-in-Bay entertainment and beer. Here you can enjoy an icy cold beer from the draught truck and enjoy some live entertainment al fresco. As dusk nears, the party moves to Mr. Ed's Bar and Grille to continue the night in beautiful downtown Put-in-Bay. 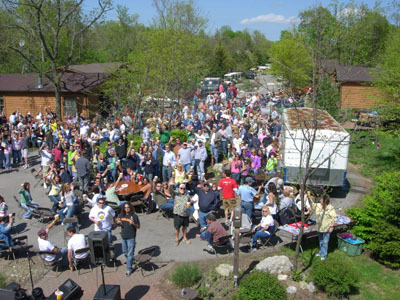 On Saturday the fun begins again back at the Island Club on Put-in-Bay Rd., with more great music and beer. We fire up the grills and prepare juicy burgers and hotdogs to enjoy on Saturday while listening to great Put-in-Bay entertainment. There are also firepits set up around the perimeter to provide warmth and ambiance during the Fall Ball party. Don't miss out on this Put-in-Bay Island favorite. We want to thank you for your continued business with us on Put-in-Bay and have a very fun way to show you our gratitude. 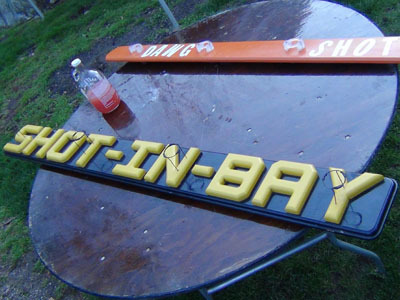 Come together with 1500 others and take advantage of this fun-filled Put-in-Bay party. What says thank you better than an icy cold beer and a juicy cheeseburger? During the Spring Fling and Fall Ball events, many Put-in-Bay businesses offer discounts for our guests. These events have become some of Put-in-Bay's most sought after events, so be sure to make your reservations EARLY. Check out the photos page and the schedule of events page to get an idea of the fun filled weekend we call THE FALL BALL. You dont' want to miss out! The Island Club gets full quickly for the Fall Ball so if we are full and you want a condo, home or hotel room at the Island Club or Put-in-Bay Condos Resort call 216-898-9951, and for the Commodore Resort call 419-285-3101. Or click the lodging page, and we will be glad to assist you! And if for some reason you miss out on the fun or if you have fun and want to do it again... look forward to the Put-in-Bay Island Club Spring Fling, our annual customer appreciation party in May! We would like to thank you for your interest and we will SEE YOU AT THE BAY!